I have been seeing so many recipes lately using a spiralizer.. I'm tempted to get one! ... my thoughts exactly on the bachelor. Ashley I had some major issues last night. I am so glad you posted this!! I saw the recipe on someone's page last week but the link was dead and I was like noooooo I want that!!!! This looks amazing!! Yum!! May give this a try tonight!! This looks delicious! I need to get a spiralizer asap. Totally adding this to my meal plan for next week, thanks! You are on a roll with these zoodles! I'd LOVE to try this out. Where did you get your noodle maker (I don't know what it's called, haha)? I love kung pao chicken! I definitely need to try this out with the zoodles! Great idea!!! You're a zoodle making machine! Sounds delish. YUM! 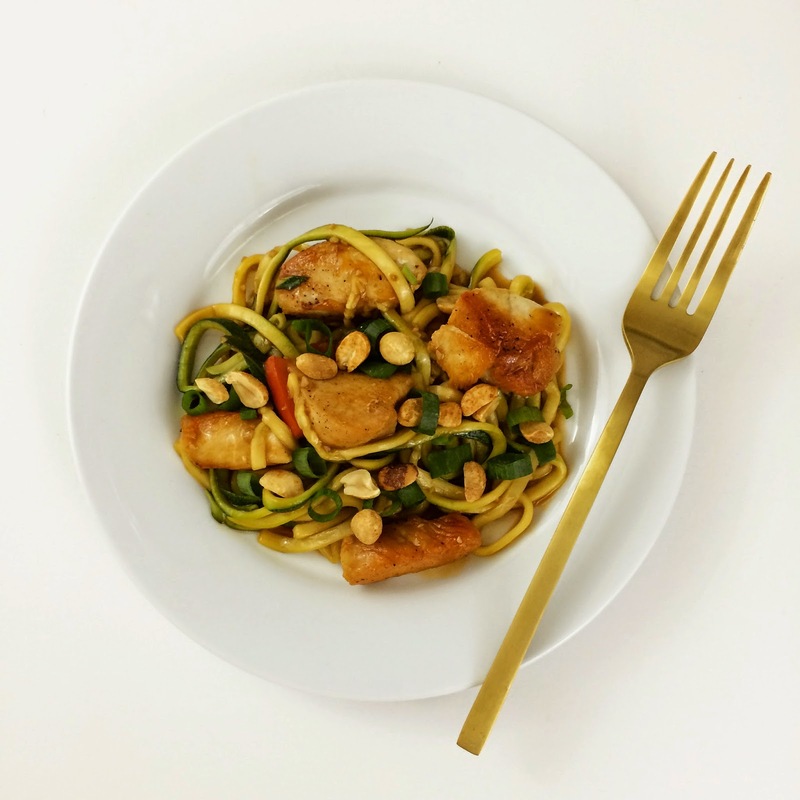 I love zoodles but need to build a collection of recipes to include them -- loving this! Oh my goodness -- yum!! I need a spiralizer in my life!! Ahhh! I'm loving your zoodle obsession! I'm hoping to jumpstart mine with your recipes! YUMMY! Also, LOL for the bachelor... Couldn't agree more! made zoodles for the first time last night - HOOKED!!! blogging about it today. yours looks fab! Holy moley that sounds amazing! I wish I had it now. I'm definitely going to get those ingredients soon! You did it again - this looks amazing!! Come cook for me. Thanks! I love how brown your chicken got! Not all weird and white like it can sometimes in the pan haha. Great recipe we will be needing to try asap. Wasn't this SO good?? 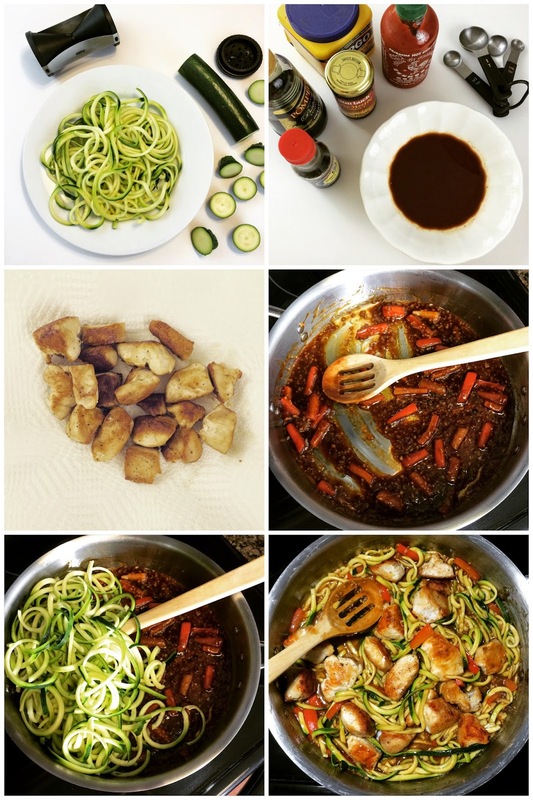 One of my favorite spiralizer recipes! I think I will forever laugh when I hear the word zoodle. But, it sure does look good! 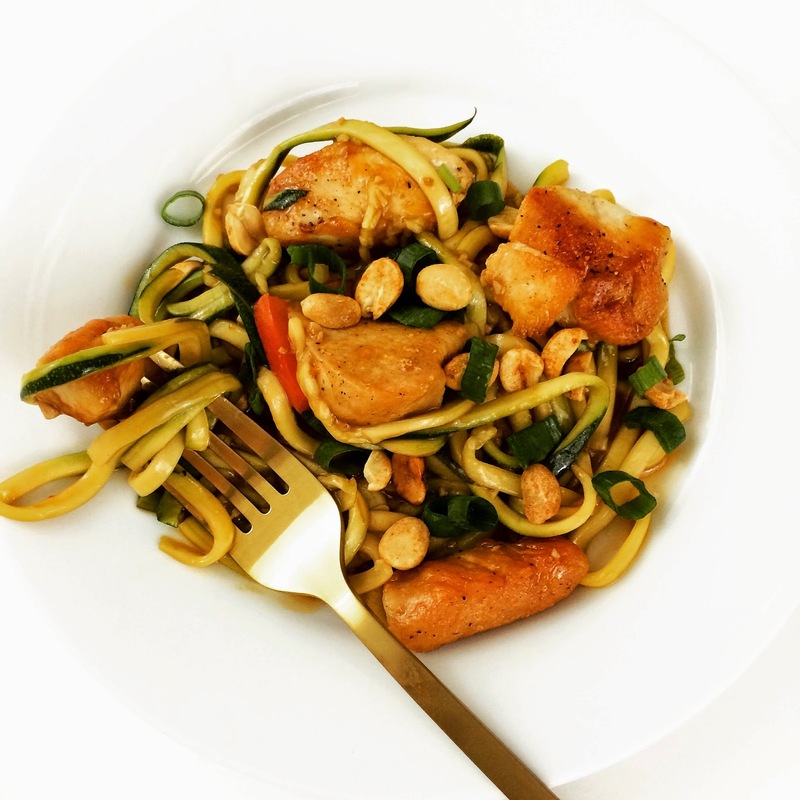 What a yummy recipe and even better to cut the carbs with zoodles! You have me really wanting to try zoodles! This recipe looks delicious. I don't have a spiralizer, but I'm going to have to look for one. I'd love to have my meals with zucchini instead of pasta (save those carbs for dessert ;) ), and perhaps with a spiralizer my daughter wouldn't know she's eating zoodles. :D Thank you so much for sharing with us at Delicious Dish Tuesday!! Have a wonderful week!